Global Test Market is an International Panel. It is founded in 1999 and powered by GMI (Global Market Insite, Inc.). 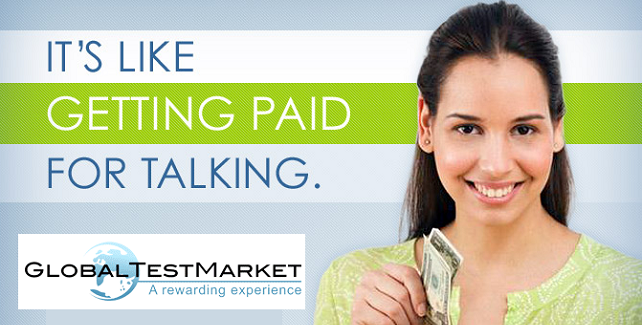 As a member of Global Test Market, they not only want to hear your opinion they’ll reward you for it! It is free to sign up and receive online paid surveys. Global Test Market Rewarded USD $30 million+ to their Worldwide Members in 2016. Global Test Market is among the largest paid-survey panel in the world with a membership of over 5.5 million people spread across 200 countries. Survey Rewards : You will earn LifePoints, convertible in cash and gift cards. Threshold limits : As soon as you earn 3850 (equal to 35$) LifePoints, you able to convert into Gift Cards. You can redeem Cash by PayPal for 4000 (equal to 40$) Lifepoints. Redemption Processing Time : Usually they take time 4 to 6 weeks for US members and 6 to 8 months for other countries members. You will be rewarded with ‘LifePoints’ when you complete an online survey. Earned points can be redeemed for many different reward options, which may vary, depending on your country of residence. Redeem option will be activated once you have accumulated 4,000 LifePoints (equal to $35) in your account. They pay up to 1000 LifePoints (500 points = $5) for each completed survey, as well as automatically participate in sweepstakes entries up to US$ 250 into daily and monthly cash drawings. Join Global Test Market Survey Panel in Free, if you are at least 14 years old or above. There is no charge for participation. They pay you! Sign up by completing registration form with personal information, and confirm your email address within your provided inbox. The registration form asks questions about you and your household. They use this information to determine which paid surveys are relevant to you based on what you are interested in.